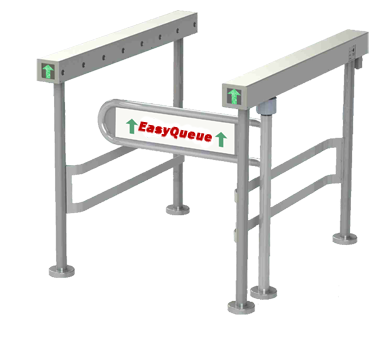 Retractable belt crowd control stanchions are ideal for fixed budgets and versatile use. They are one of the most popular stanchion choices and are perfect for convention centers, sports and entertainment arenas, county fairs, college registration, and other applications. Belts are imprintable and stanchion accessories exist for sign boards, notices and other marketing or safety requirements. 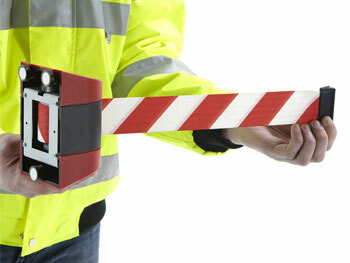 If you have a special stanchion or crowd control problem or have questions regarding our selection or installation, please don't hesitate to Contact Us. Interconnects with most major brands. Stanchions used for organized queueing. Washroom, aisle & counter security.